Tags: ACE, AI, AI and robotics, Alan Mathison Turing, Alan Turing, Alan Turing Ferranti Mark I computer, Alan Turing Tragedy and Legacy, algorithm, artificial intelligence, Automatic Computing Engine, automaton, Battle of the Atlantic, Bletchley Park, British Tabulating Machine Company, Can machines think?, Christopher Strachey, codified auditory signal, Das Boot, David Link, David Link Love Letters_1.0, Deep Blue, Dieter Rödding, early British digital computer, Elliott & Fry Alan Mathison Turing, enigma, Enigma and the Battle of the Atlantic, Enigma code, Enigma machine, Ferranti Mark I, Ferranti Mark I computer, From Turochamp to Deep Blue, Garry Kasparov, GC&CS, German submarines, Gisbert Hasenjäger, Gisbert Hasenjäger logic machine, Gisbert Hasenjäger Logic machine c. 1960s, Government Code and Cypher School, Heinz Nixdorf Museums Forum, Hello World!, history of computer chess, homosexuality, intelligent machine, James H. Wilkinson, Kurt Gödel, legendary British mathematician, logic machine, logic machine by Gisbert Hasenjäger, logic machines of the Münster School, Love Letters, Love Letters from a Machine, M.U.C., Manchester University Computer, Manchester University’s Computer Department, Münster School, National Codes and Cipher Centre, Paderborn, Pilot ACE, plugboard of an Enigma machine, Processor board of Deep Blue, RoboThespian, robotics, Second World War, Steckerbrett, The code breakers of Bletchley Park, The History of Intelligent Machines, The Turing Machine, The Turing Test, Torres Quevedo, Tragedy and Legacy, Turing Bombe, Turing Bombe rotors, Turing Bombe wiring, Turing computer pioneer, Turing homosexuality, Turing mastermind of the digital age, Turochamp, U-boat, Unterseeboot, vacuum tubes, Williams tube display, World War II, You deserved so much better!, Yunchul Kim, Yunchul Kim Hello world! Many thankx to the Heinz Nixdorf Museums Forum for allowing me to publish some of the photographs in the posting. I have supplemented their media images with other images that can be found on the Internet: the plugboard of an Enigma machine, a logic machine by Gisbert Hasenjäger, the Pilot ACE (Automatic Computing Engine), installation photographs of Hello, world! by Yunchul Kim, Alan Turing with two colleagues at the Ferranti Mark I computer and installation photograph of Love Letters_1.0 by David Link. All photographs have been attributed where possible. The use of these photographs has led to an infinitely better posting that gives a greater insight into the exhibition, the work of the brilliant Alan Turing, and other work based on his ideas. Please click on the photographs for a larger version of the image. 1939. The UK Government Code and Cipher School appoints one of the country’s best mathematicians, Alan Turing, to a post at its Bletchley Park headquarters, where the German enemy’s intercepted radio messages are to be deciphered. Operation ULTRA begins. 1940. The Atlantic becomes a major theatre of war, with German submarines attacking Allied supply lines. This first topic examines the secret communications between German submarines and the naval high command in Berlin. Messages are encrypted using the Enigma machine. They are intercepted at British listening posts and sent to Bletchley Park to be deciphered. 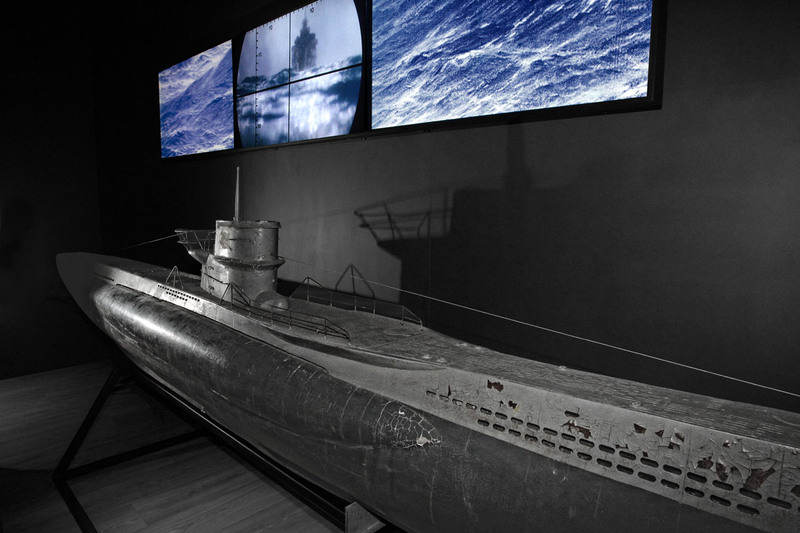 The HNF is exhibiting the original model of the submarine from the film Das Boot, as well as a Marine 4-rotor Enigma. Further prominent exhibits which help relate this exciting story include radio technology items, codebooks and an interactive cipher rotor. 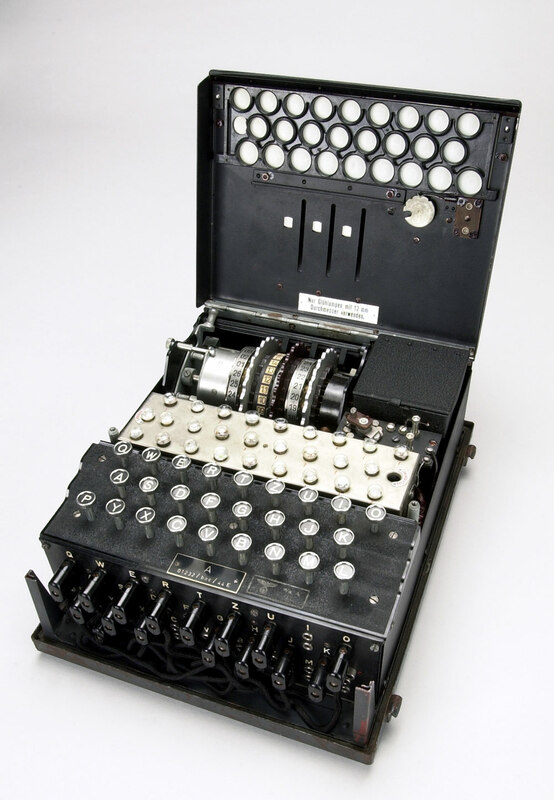 The Enigma was an electro-mechanical rotor machine used for the encryption and decryption of secret messages. It was developed in Germany in the 1920s. The repeated changes of the electrical pathway from the keyboard to the lampboard implemented a polyalphabetic substitution cipher, which turned plaintext into ciphertext and back again. Used properly, this provided a very high degree of security. The Enigma’s scrambler contained rotors with 26 electrical contacts on each side, whose wiring diverted the current to a different position on the two sides. On depressing a key on the keyboard, an electrical current flowed through an entry drum at the right-hand end of the scrambler, then through the set of rotors to a reflecting drum (or reflector) which turned it back through the rotors and entry drum, and out to cause one lamp on the lampboard to be illuminated. At each key depression, at least one of the rotors (the right-hand or “fast” rotor) advanced one position, which caused the encipherment to alter. At a certain point, the right-hand rotor caused the middle rotor to advance and in a similar way, the middle rotor caused the left-hand (or “slow”) rotor to advance. Each rotor caused the “turnover” of the rotor to its left after a full rotation. 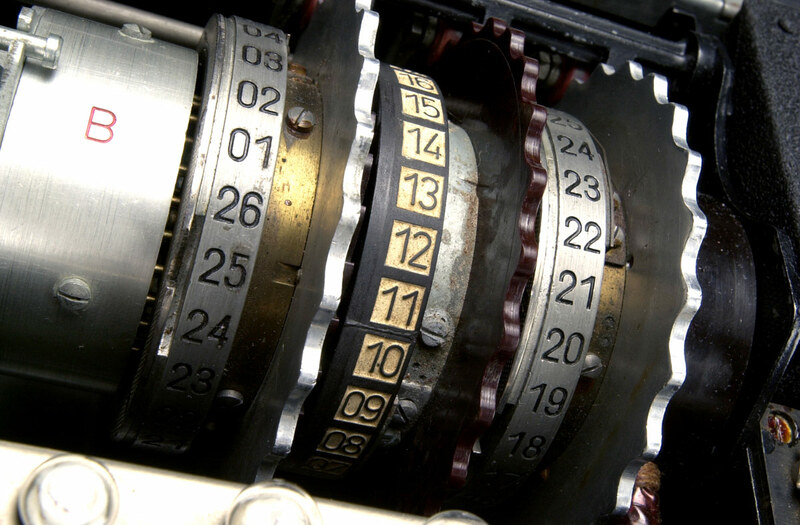 The Enigma operator could rotate the wheels by hand to change the letter of the alphabet showing through a window, to set the start position of the rotors for enciphering a message. This three-letter sequence was “message key”. There were 26 × 26 × 26 = 17,576 possible positions of the set of three rotors, and hence different message keys. 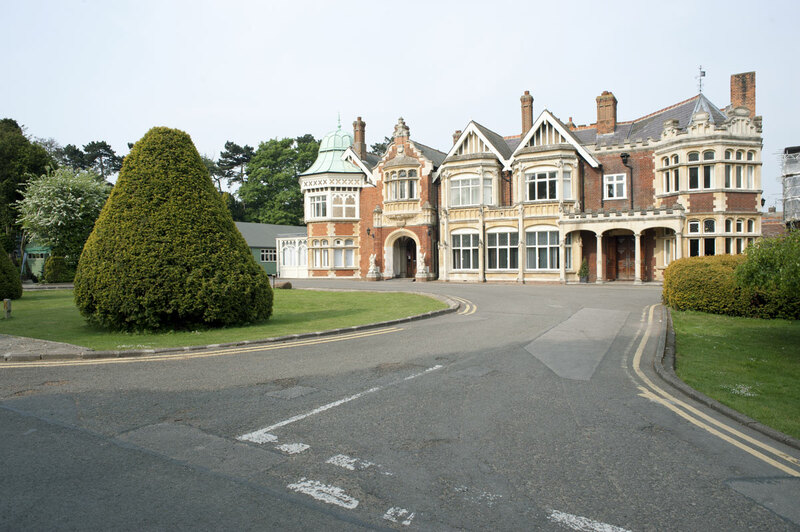 By opening the lid of the machine and releasing a compression bar, the set of three rotors on their spindle could be removed from the machine and their sequence (called the “wheel order” at Bletchley Park) could be altered. Multiplying 17,576 by the six possible wheel orders gives 105,456 different ways that the scrambler could be set up. The plugboard of an Enigma machine, showing two pairs of letters swapped: S↔O and J↔A. 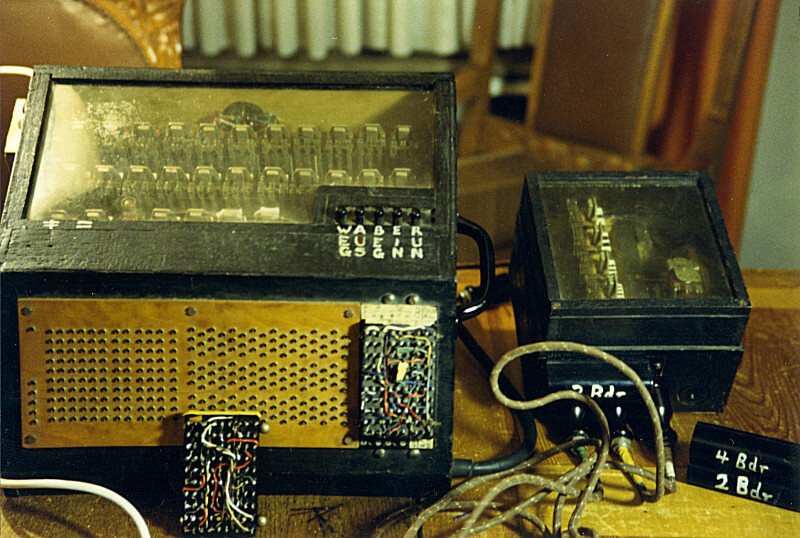 During World War II, ten plugboard connections were made. The plugboard (Steckerbrett) is positioned at the front of the machine, below the keys. When in use, there can be up to 13 connections. Up to 10,000 people are working hard to decipher German radio messages at Bletchley Park, and Alan Turing is one of their leading lights. 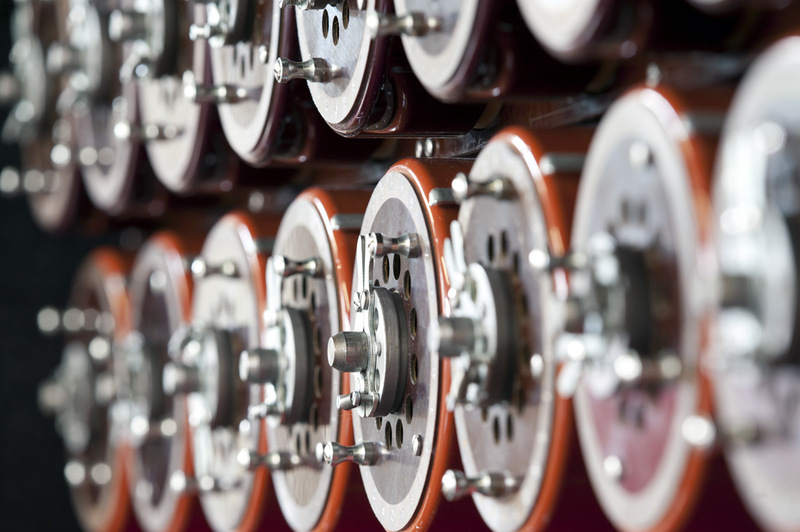 He achieves the crucial breakthrough: his decryption device known as the Bombe can calculate Enigma code settings automatically, quickly and reliably. The rotors of up to 200 Bombes now run day and night, with radio messages able to be cracked within hours, while they are still of military relevance. This gives Winston Churchill and his military officers in London a priceless advantage. 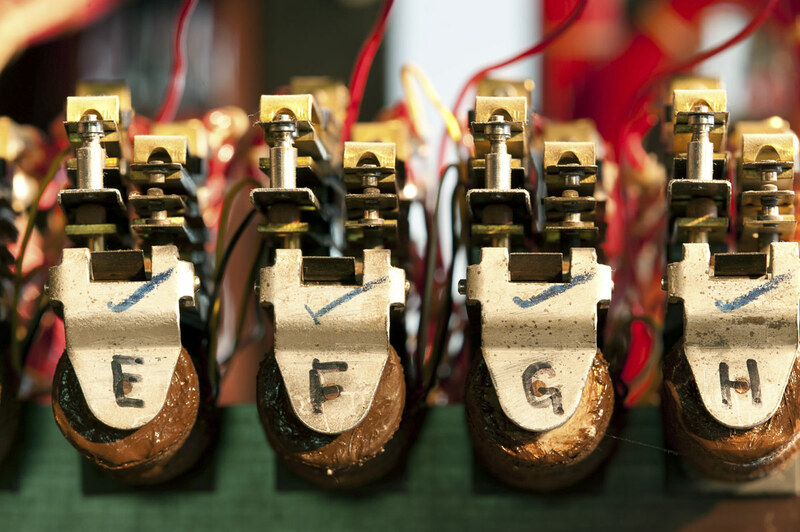 The second topic of the HNF Turing year includes exhibits not previously seen in Germany, such as components of an original US Bombe owned by the NSA as well as loans of a functional checking machine and Bombe rotors from Bletchley Park. The entire communications chain is presented to visitors, from the German submarine radio operator all the way to the clear text message received by the British Prime Minister. The working rebuilt bombe at Bletchley Park museum. 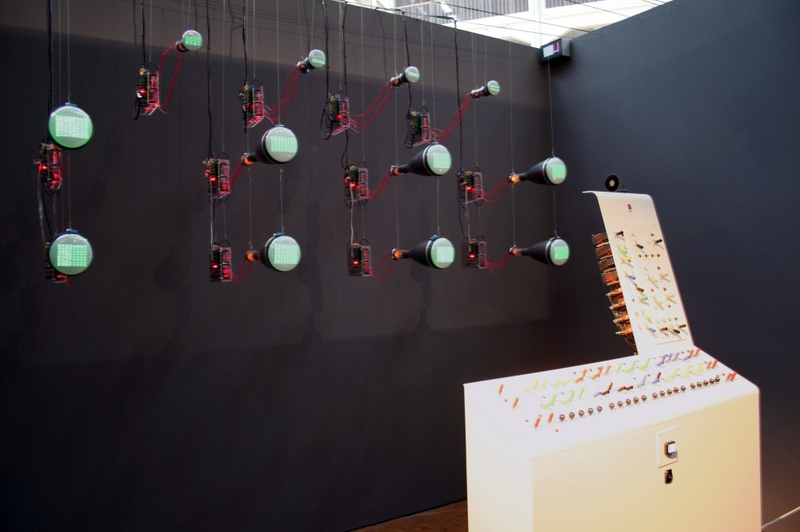 Each of the rotating drums simulates the action of an Enigma rotor. 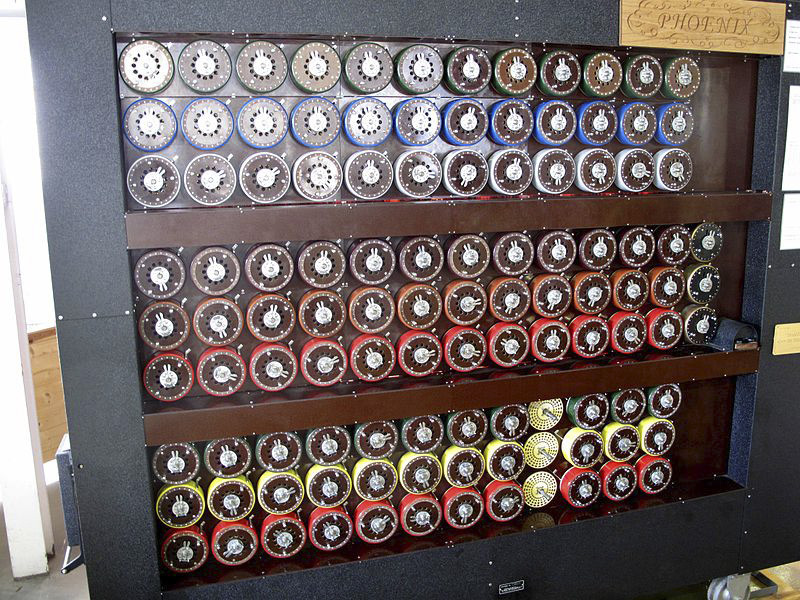 There are 36 Enigma-equivalents and, on the right hand end of the middle row, three indicator drums. John Harper led the ‘Phoenix’ team that built this. It was officially switched on by the Duke of Kent, patron of the British Computer Society on 17 July 2008. “The international scientific focus in 2012 will be firmly on Alan Turing. This legendary British mathematician and computer pioneer was born in London on 23 June 1912. His 100th birthday will be marked by numerous events, primarily in his native country, but also in the USA, Brazil, China and elsewhere. Germany’s Heinz Nixdorf MuseumsForum in Paderborn is to pay tribute to the achievements of this equally academic and awkward scientist with an ambitious exhibition entitled Eminent & enigmatic – 10 aspects of Alan Turing. Its aim is to present Alan Turing’s outstanding achievements to visitors in the form of original exhibits and innovative and artistic installations alike. 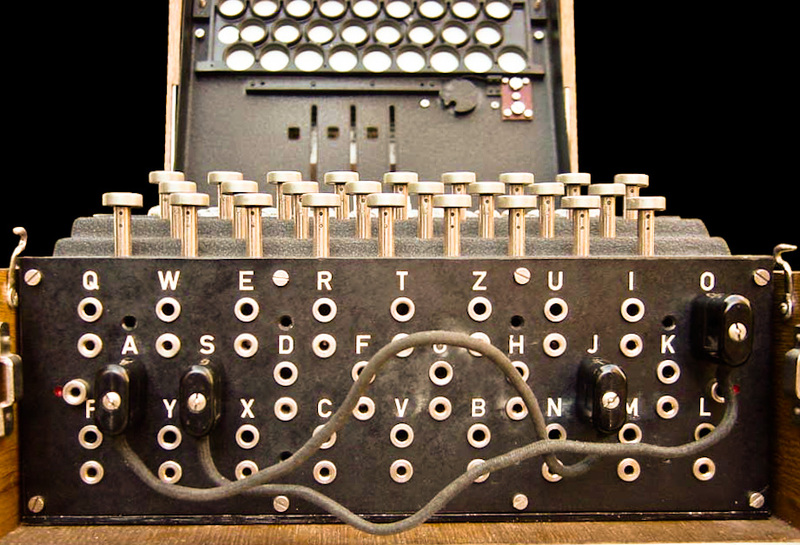 Turing’s research made a huge contribution towards deciphering German radio messages encrypted using the Enigma machine during World War II. Thus he played a vital role in the Battle of the Atlantic, as well as in other major theatres of war. His theoretical work, which still forms the basis of information technology to this day, is equally significant. While his contemporaries could not see beyond the pure calculating capabilities of the computer, Turing designed the model of a universal machine capable of solving every algorithmic problem. 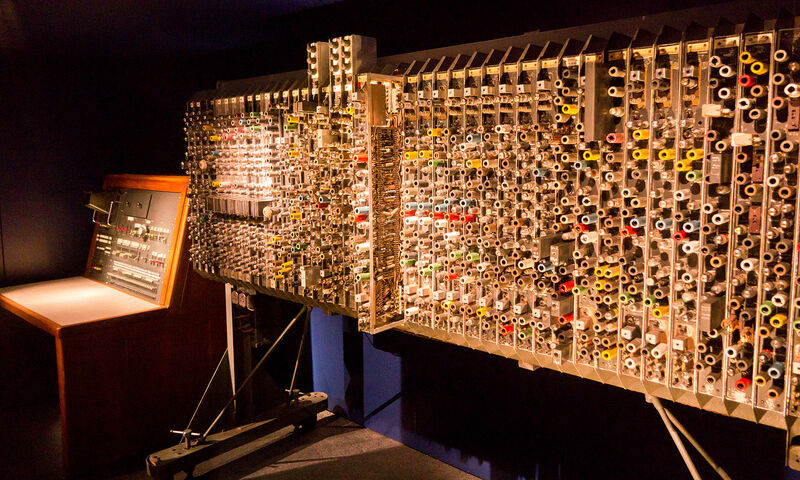 The exhibition at the Heinz Nixdorf MuseumsForum will focus on Turing’s achievements in breaking the Enigma code and his basic work as a computer and computer science pioneer, while also shedding light on his views on the subjects of artificial intelligence and spacial pattern formation, as well as on the tragedy of his untimely death and his legacy. This marks the first time that an exhibition will be shown in stages, with the ten exhibition topics portrayed in successive monthly presentations. The exhibition will open on 10 January 2012 with the topic Enigma and the Battle of the Atlantic. 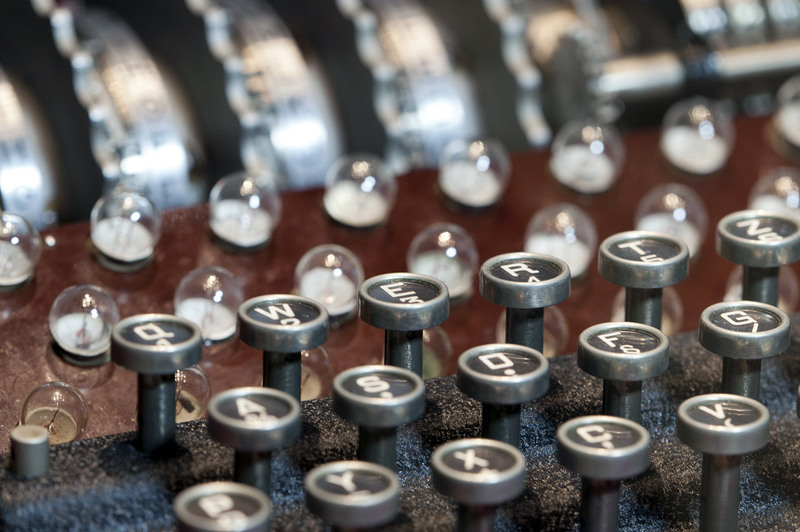 It will be followed as of 14 February with exhibits and presentations on The code breakers of Bletchley Park, the UK’s National Codes and Cipher Centre during World War II. 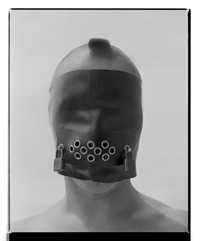 The remaining topics will also be shown for a period of around one month until the exhibition closes on 16 December 2012. The exhibition will be held in a specially constructed pavilion in the foyer. In addition to the technical and scientific exhibits, artistic installations are to shed light on Alan Turing’s work and thinking. “We want to pay tribute to Alan Turing with a series of presentations because he was the mastermind of the digital age as well as an exceptional personality,” said Ryska of the exhibition concept. 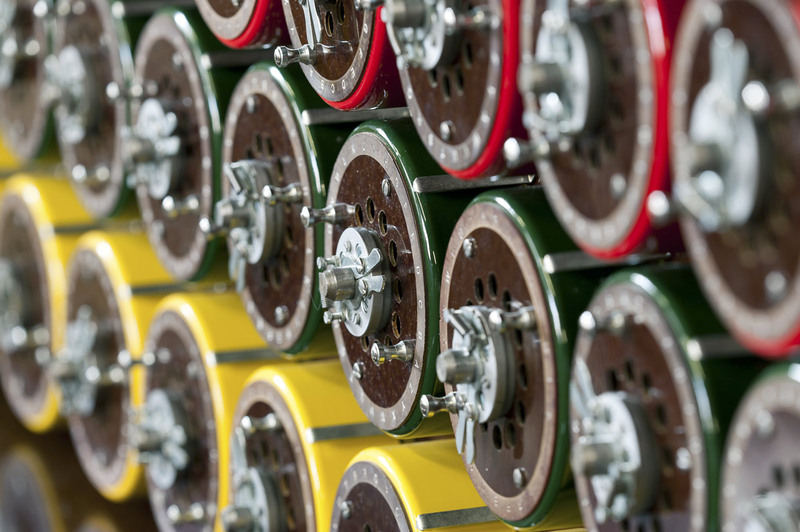 Turing’s achievements will open up several unusual avenues into the HNF permanent exhibition. It can be accessed via a special Turing tour and workshops for schools, making the special exhibition a great stepping stone into the world’s biggest computer museum, in which a section in the Hall of Fame has been dedicated to Turing since its opening in 1996. 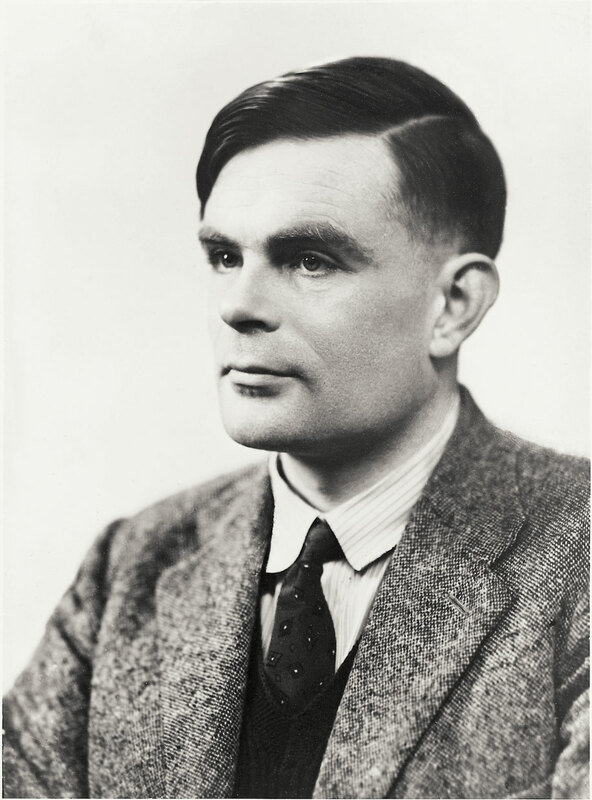 Turing, who died on 7 June 1954 under mysterious circumstances, has only been properly appreciated by the public at large during recent years, although experts have sung his praises for decades. In 1952 Alan Turing was sentenced to a degrading 12-month course of oestrogen treatment designed to combat his homosexuality. He took his own life by eating a cyanide-laced apple one year after completion of the treatment, on 7 June 1954. Alan Turing was born on 23 June 2012 in London. From 1931 to 1934 he studied mathematics at King’s College, Cambridge, where he was elected a fellow in 1935. During World War II he worked at the Government Code and Cipher School at Bletchley Park, developing methods of deciphering German radio messages encrypted using the Enigma machine. At the end of the war Turing turned his attention towards computer development, first at the National Physical Laboratory in Teddington (1945-47), where he developed the concept of the Automatic Computing Engine (ACE), and then (as of 1948) as deputy director of the computing laboratory at Manchester University. Although Alan Turing did not have too deep an impact on the invention of the first computers in the 1940s and 1950s, his theoretical concepts earned him a place in computer history: The Turing machine still provides an important basis for research into theoretical computer science today, and the Turing test proposed by him in 1950 in response to the question “Can machines think?” lent impetus to the development of artificial intelligence. In 1950 Alan Turing proposes a new type of test. He is researching the question of when a machine can be described as “intelligent”, using the human brain as a model. According to the Turing test, a machine is intelligent if it can convince a human interlocutor that it is itself “human”. This deception must succeed with the required frequency in repeated tests. What do the contemporary luminaries Konrad Zuse, Claude Shannon, John von Neumann and Alan Turing have in common? They all want to play chess against calculating machines that they themselves have devised. But the history of computer chess began as early as the end of the 19th century, when Spanish engineer Torres Quevedo presented a chess-playing automaton whose rook and king could reliably checkmate the opponent’s king. The fourth topic is all about computer chess. Turing defines his own rules for a chess algorithm, but his Turochamp program loses its first game in 1952 – played “by hand,” rather than run on a computer – against his friend Alick Glennie. It is not until 1997 that reigning chess world champion Garry Kasparov is defeated by a calculating machine, in the form of the IBM supercomputer Deep Blue. The HNF is exhibiting original hardware from the machine and the original chessboard from this “final” game in the Turing pavilion – the first time these have been on show in Germany. “Can machines think?” It is 1950 when Alan Turing asks this provocative question and founds a new field of research along with significant contemporaries of the likes of Claude Shannon, Norbert Wiener and Joseph Weizenbaum: that of “artificial intelligence (AI).” To this day, the development of the “intelligent machine” has been marked by excessive expectations as well as important advancements. The humanoid robot RoboThespian relates the history of AI as the fifth topic of our Turing year. RoboThespian is a prominent visitor to the Turing pavilion. With his love of theatrical appearances, he is more than happy to answer questions or cheekily imitate the gestures of visitors. An entire section of the permanent exhibition is devoted to AI and robotics. Our networked computers are becoming more powerful all the time. It is still unclear when precisely a team of robots will beat the human world champions – an event predicted by experts for some time. Mathematician Kurt Gödel turns the world of numbers on its head in 1931, when he proves that there are some logical statements that are neither true nor false. Inspired by this revolutionary finding, Alan Turing takes up the baton and publishes the concept of the Turing machine in 1936. He demonstrates that his simple but universal theoretical machines can calculate everything that can be calculated by any machine or computer. The HNF has built a mechanical Turing machine that can be tried and tested by visitors to the Turing pavilion. 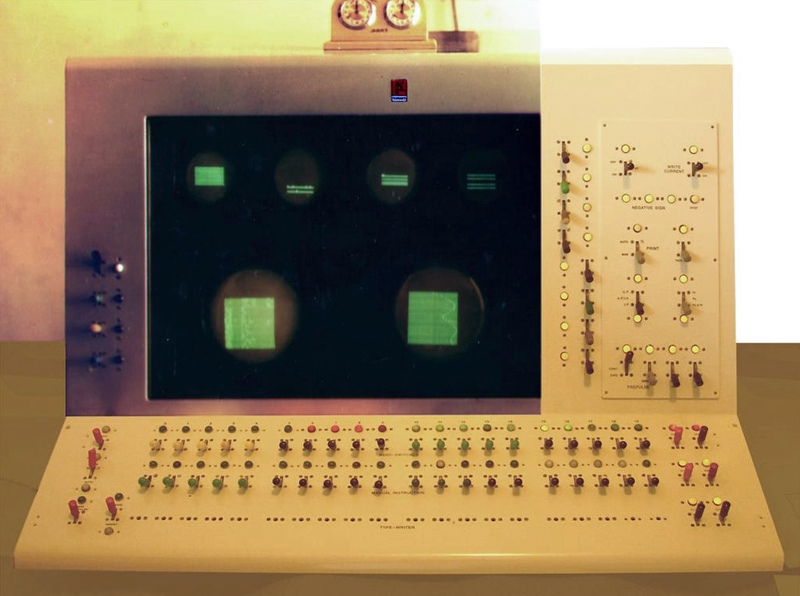 The logic machines of the Münster School are on show for the first time ever: in the 1960s Gisbert Hasenjäger and Dieter Rödding use spare parts from the German Federal Post Office to construct somewhat bizarre devices for logical calculations (see photographs below). Die Turing-Maschine ist im Grunde keine konkrete Konstruktion, sondern ein mathematisches Konzept zum Nachweis der algorithmischen Berechenbarkeit einer Funktion. Dennoch sind anhand von Turings Arbeiten sehenswerte konstruktionstechnische Umsetzungen entstanden (The Turing machine has basically no concrete construction, but a mathematical concept for the detection of algorithmic computability of a function. Nevertheless, based on Turing’s work remarkable constructional reactions are caused). The war is over, with Germany having been defeated by the Allies. Alan Turing makes the transition from codebreaker to computer pioneer at the National Physical Laboratory. He designs the Automatic Computing Engine, known as ACE, entirely on his own. New features of this vacuum tube computer include its delay-line memories – very fast memories for digital data and programs. James H. Wilkinson builds the machine and presents the Pilot ACE builds the machine and presents the Pilot ACE to the public in 1950 as the world’s fastest computer. At this point, Turing is already working on his next groundbreaking computer project, a new computer for the University of Manchester. 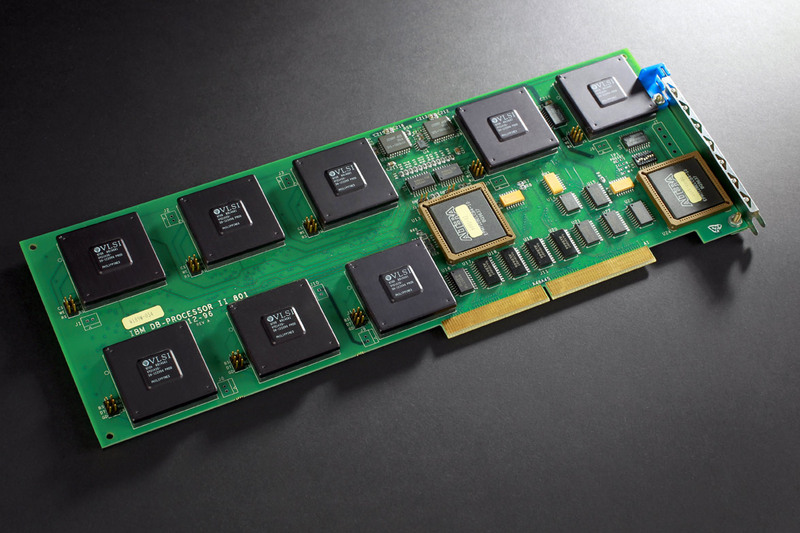 The eighth topic is all about the new memory technology of the ACE. How can data be saved as sound waves? This question is answered not only with the help of an original ACE component, but also via the artistic installation Hello, world by Yunchul Kim, a three-metre sculpture made from copper pipes. 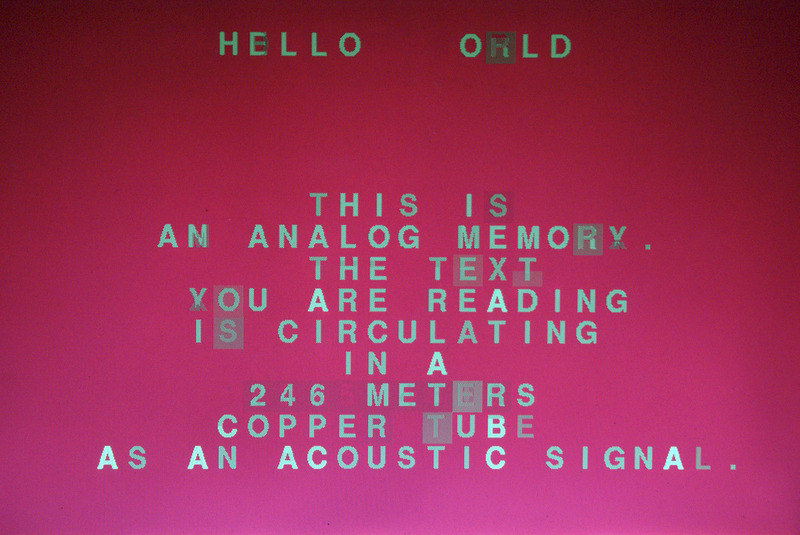 This object acts as an analogue memory location for digital data. The Pilot ACE had 1450 thermionic valves (vacuum tubes), and used mercury delay lines for its main memory. 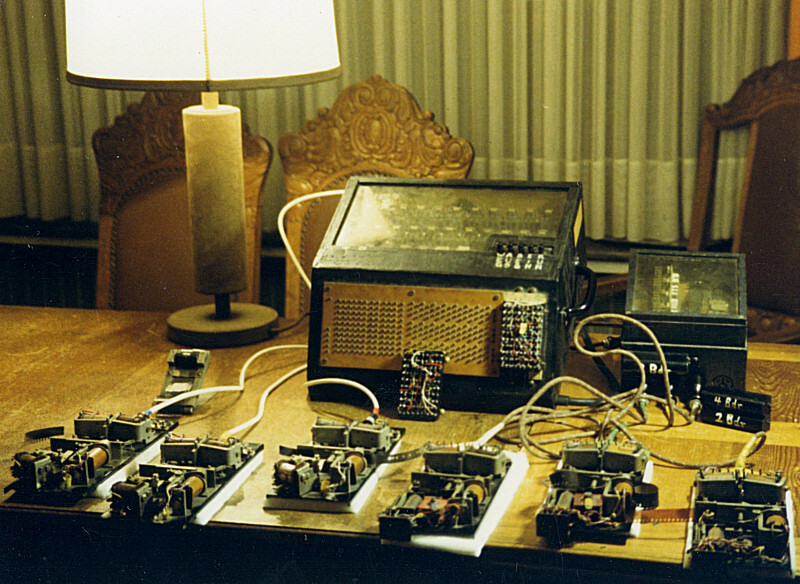 Each of the 12 delay lines could store 32 instructions or data words of 32 bits. This ran its first program on May 10, 1950, at which time it was the fastest computer in the world with a clock speed of 1MHz. Hello, world! is an interesting take on long- and short-lived data storage media. It uses acoustic signals to store data. 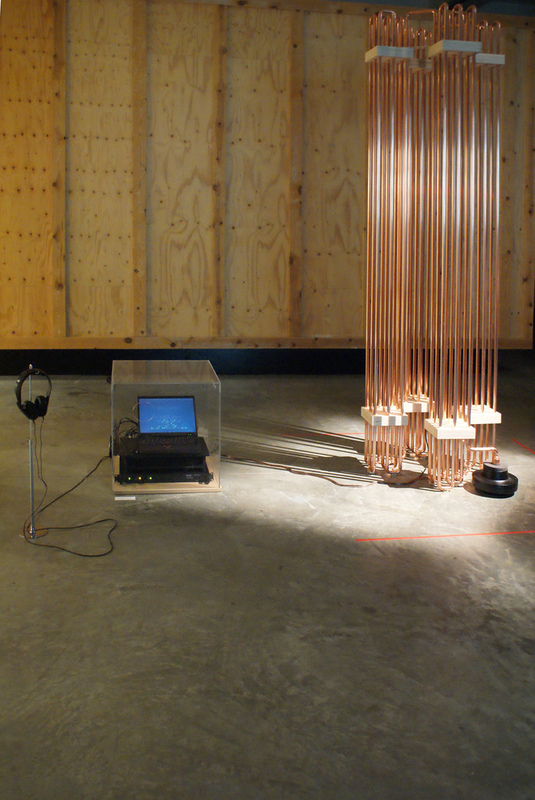 A codified auditory signal (feedback) circulates in a closed system consisting of a computer, a loudspeaker, 246 meters of copper tubing and a microphone. Due to the acoustic delay in the tubing system, it’s possible to save data, whereby the rule is: the longer the copper tubing, the longer the time delay and the greater the memory capacity. In addition to this a screen shows a visual representation of the information traveling around the system. If a participant makes noises near the installation or hits the copper piping it interferes with the audio signal loop. There is some instability in the system. If you go up to the sculpture you can hear the sounds (every sign of the ASCII code has its own sine wave frequency thus translating it in an acoustic signal) travelling through the copper piping. But a loud noise in the exhibition space or a vibrational disturbance from passing traffic or low frequency rumble effects the lettering on the screen and the text and Hello, World! starts to tremble as the quality of the signal degenerates and recovers. While in Manchester, Alan Turing writes the programming manual for the Ferranti Mark I, an early British digital computer, and trains staff as programmers. The Mark I no longer saves data and programs on punched tape, but instead uses a new system of a line of dots on a Williams tube display. Its storage capacity, which was huge for the time, gave users plenty of scope for new experiments, such as initial chess and draughts programs as well as digital musical compositions. The penultimate topic in our Alan Turing year includes a display of the interactive installation Love Letters by David Link, who has created a fully functioning replica of the Ferranti Mark I using original components. The machine program generates personal love letters with the help of an algorithm. Christopher Strachey originally wrote the code for the love letters program in the 1950s. YOU ARE MY AVID FELLOW FEELING. MY AFFECTION CURIOUSLY CLINGS TO YOUR PASSIONATE WISH. MY LIKING YEARNS FOR YOUR HEART. YOU ARE MY WISTFUL SYMPATHY: MY TENDER LIKING. The acronym M.U.C. stood for “Manchester University Computer”, the earliest electronic, programmable and universal calculating machine worldwide; the fully functional prototype was completed in June 1948 and was based on Williams tubes as means of volatile storage. 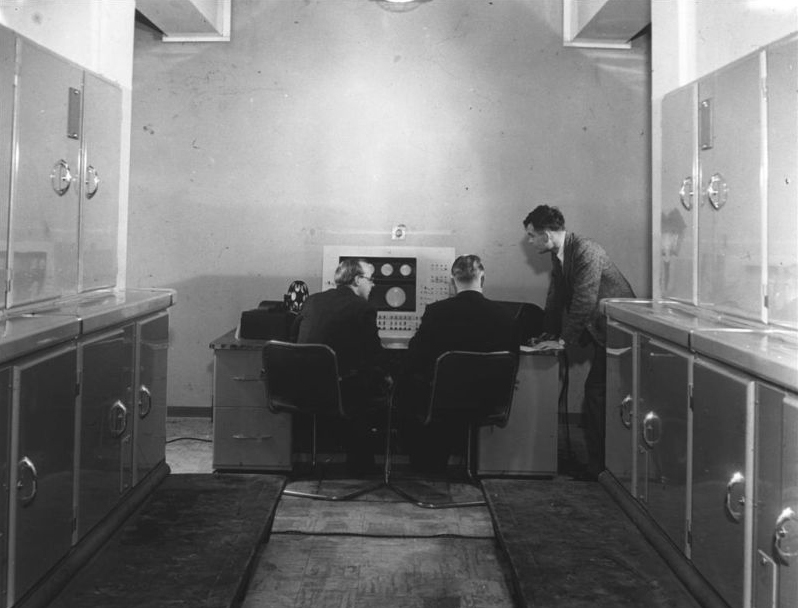 One of the very first software developers, Christopher Strachey (1916-1975), had used the built-in random generator of the Ferranti Mark I, the first industrially produced computer of this kind, to generate texts that are intended to express and arouse emotions. Alan Turing dies at not quite 42 years of age, after eating a poisoned apple, as in the fairytale. His incredibly influential body of work remains, and has left its mark on the discipline known as computer science today. 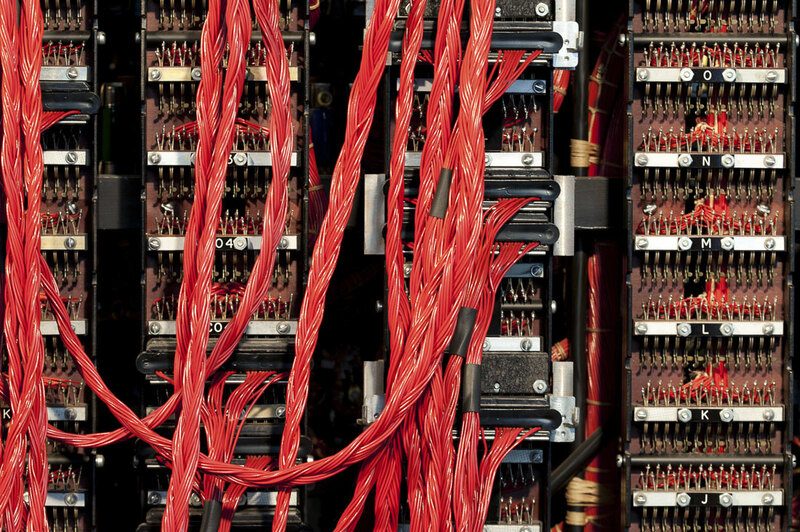 The tenth and final topic looks back on the Alan Turing year of 2012. For twelve months, Turing has been the focus of international conferences, events and exhibitions, which the HNF now reviews. We follow in Turing’s footsteps, visiting places where he worked and where his presence is still felt. At the end comes an apology for Turing’s conviction as a homosexual: in 2010 Prime Minister Gordon Brown speaks for the British people when he says that he is sorry for the treatment meted out to Alan Turing: “You deserved so much better.” Queen Elizabeth visits Bletchley Park in 2011. The Turing Award is now the biggest of its kind in the world of computer science. Alan Turing at the time of his election to a Fellowship of the Royal Society. Photograph was taken at the Elliott & Fry studio on 29 March 1951.